In this study, it was aimed to investigate the resistance rates of gentamicin, penicillin, methicillin, vancomycin, linezolid and tetracycline by phenotypic and genotypic methods in Staphylococcus aureus isolates and to determine plasmid content. Between the months of January and September in 2015, 100 clinical isolates of S. aureus were obtained from different samples such as wound, blood, urine. The automated bacteria identification and antibiotic susceptibility system (BD PhoenixTM, Sparks, MD, USA) was used to determine of antibiotic sensitivities. The resistance to methicillin was also investigated by Kirby-Bauer disc diffusion method using a 30 μg cefoxitin disc. The presence of aac(6’)/aph(2’’), blaZ, mecA, femA, vanA, vanB, cfr, tetK and tetM genes related to antibiotic resistance was investigated by PCR amplification in all isolates. Plasmid DNAs were isolated by using a Thermo Scientific GeneJET Plasmid Miniprep Kit. The cefoxitin resistance of S.aureus isolates, identified according to the results of disk diffusion and automated system, was calculated as 19%. Vancomycin and linezolid resistance were not observed in isolates while gentamicin 2%, penicillin 100%, methicillin 19%, tetracycline 18% resistance were identified using the automated system. According to the results of molecular analysis aac(6’)/aph(2’’), blaZ, mecA, femA, tetK and tetM genes frequencies were determined as 2%, 100%, 19%, 100%, 17% and 3% respectively, but vanA, vanB and cfr genes were not amplified by PCR. In order to determine the relationship between antibiotic resistance and plasmid presence, plasmids were isolated from identified bacterial isolates. It is found that most of bacterial isolates (79%) contain different numbers plasmids. Rapid and reliable method for antibiotic susceptibility is important to determine the appropriate therapy decision. PCR can be used for confirmation of the results obtained by automated system or could be used as an alternative diagnostic method in the routine diagnosis for rapid, sensitive, and specific detection of MRSA associated antibiotic resistance genes. Bu çalışmada, Staphylococcus aureus izolatlarında gentamisin, penisilin, metisilin, vankomisin, linezolid ve tetrasiklin direnç oranlarının araştırılması ve plazmid içeriğinin belirlenmesi amaçlanmıştır. 2015 yılı Ocak-Eylül ayları arasında yara, kan, idrar gibi farklı örneklerden 100 tane S. aureus izolatı elde edilmiştir. Antibiyotik duyarlılıklarını belirlemek için otomatik bakteri identifikasyon ve antibiyotik duyarlılık sistemi (BD PhoenixTM, Sparks, MD, ABD) kullanıldı. Ayrıca, metisilin direnci 30 μg sefoksitin disk kullanılarak Kirby-Bauer disk difüzyon yöntemi ile de araştırıldı. Antibiyotik direncine bağlı aac (6 ')/aph (2' '), blaZ, mecA, femA, vanA, vanB, cfr, tetK ve tetM genlerinin varlığı tüm izolatlarda PCR amplifikasyonu ile araştırıldı. Plazmid DNA'ları Thermo Scientific GeneJET Plazmid Miniprep Kiti kullanılarak izole edildi. Disk difüzyon ve otomatik sistem sonuçlarına göre belirlenen S.aureus izolatlarının sefoksitin direnci %19 olarak belirlendi. Vankomisin ve linezolid direnci izolatlarda görülmezken, otomotize sistem ile %2 gentamisin, %100 penisilin, %19 metisilin, %8 tetrasiklin direnci belirlendi. Moleküler analiz sonuçlarına göre aac (6 ')/aph (2' '), blaZ, mecA, femA, tetK ve tetM genleri sırasıyla % 2, % 100, % 19, % 100, % 17 ve %3 olarak belirlendi. Fakat vanA, vanB ve cfr genleri PCR ile amplifiye edilmedi. Antibiyotik direnci ve plazmid varlığı arasındaki ilişkiyi belirlemek için plazmidler, tanımlanmış bakteriyel izolatlardan izole edildi. Bakteriyel izolatların çoğunun (% 79) farklı sayılarda plazmid içerdiği bulundu. Antibiyotik duyarlılığı için hızlı ve güvenilir bir yöntem, uygun tedavi kararını belirlemek için önemlidir. Otomatik sistem ile elde edilen sonuçların doğrulanması için PCR kullanılabilir veya MRSA ile ilişkili antibiyotik direnç genlerinin hızlı, hassas ve spesifik saptanması için rutin tanıda alternatif bir tanı yöntemi olarak kullanılabilir. Abdul-Hameed RA, Ayoub NS 2014. Vancomycin resistance among methicillin-resistant Staphylococcus aureus isolates from general hospitals. KCMJ, 10(1):82-86. Aghazadeh M, Rahbar M, Monnavar MK, Moghadam FS 2009. Sensitivity pattern of methicillin resistant and methicillin sensitive Staphylococcus aureus isolates, against several antibiotics including tigecycline in Iran: a hospital based study. Pak J Med Sci, 25(3):443-446. Aires de Sousa M, Conceica˜o T, Simas C, de Lencastre H 2005. Comparison of genetic backgrounds of methicillin-resistant and susceptible Staphylococcus aureus isolates from Portuguese hospitals and the community. J Clin Microbiol, 43(10):5150-5157. Al-Talib H, Yean CY., Al-Khateeb A, Hassan H, Singh KKB, Al-Jashamy K and Ravichandran, M 2009. A pentaplex PCR assay for the rapid detection of methicillin-resistant Staphylococcus aureus and Panton-Valentine Leucocidin. BMC Microbiology, 9:113. Braoios A, Fluminhan Júnior A, Pizzolitto AC 2009. Multiplex PCR use for Staphylococcus aureus identification and oxacillin and mupirocin resistance evaluation. Revista de Ciências Farmacêuticas Básica e Aplicada,30(3):303-307. Chikkala R, George NO, Ratnakar KS, Iyer RN, Sritharan V 2012. Heterogeneity in femA in the Indian isolates of Staphylococcus aureus limits its usefulness as a species specific marker. Advances in Infectious Diseases, 2(3):82-88. Choi SM, Kim SH, Kim HJ, Lee DG, Choi JH, Yoo JH, Kang JH, Shin WS, Kang MW 2003. Multiplex PCR for the detection of genes encoding aminoglycoside modifying enzymes and methicillin resistance among Staphylococcus species. J Korean Med Sci, 18(5):631-6. CLSI 2015. Performance Standards for Antimicrobial Susceptibility Testing; Twenty-Fifth Informational Supplement. Clinical and Lboratory Standards Institute (CLSI), 35(3): M100-S25. Datta P, Gulati N, Singla N, Vasdeva HR, Bala K, Chander J, Gupta V 2011. Evaluation of various methods for the detection of methicillin resistant Staphylococcus aureus strains and susceptibility patterns. J Med Microbiol, 60:1613-16. David MZ, Daum RS 2010. Community-associated methicillin-resistant Staphylococcus aureus: epidemiology and clinical consequences of an emerging epidemic. Clin Microbiol Rev, 23(3):616–687. Dessouky N, Tawakkol W, Hashem AEM 2013.Dissemination of aminoglycoside-modifying enzymes (AME) in methicillin-resistant Staphylococcus aureus among Egyptian isolates. Microbiol Res J Int, 4(2):162-166. Dudhagara PR,Ghelani AD, Patel RK 2011.Phenotypic characterization and antibiotics combination approach to control the methicillin resistant Staphylococcus aureus (MRSA) strains isolated from the hospital derived fomites. Asian Journal of Medical Sciences, 2(2):72-78. Ekrami A, Samarbafzadeh A, Alavi M, Kalantar E, Hamzeloi F 2010. Prevalence of methicillin resistant Staphylococcus species isolated from burn patients in a burn center, Ahvaz, Iran. Jundishapur J Microbiol, 3(2):84-91. Farhadian A, Nejad QB, Peerayeh SN, Rahbar M, Vaziri F 2014. Determination of vancomycin and methicillin resistance in clinical isolates of Staphylococcus aureus in Iranian hospitals. Br Microbiol Res J, 4(4):454-461. Fluit AC, Visser MR, Schmitz FJ 2001. Molecular detection of antimicrobial resistance. Clin Microbiol Rev, 14(4):836-871. Foster TJ 2017. Antibiotic resistance in Staphylococcus aureus. Current status and future prospects. FEMS Microbiology Reviews, 41(3):430-449. Freitas FIS, Guedes-Stehlingand E, Siqueira-Junior JP 1999. Resistance to gentamicin and related aminoglycosides in Staphylococcus aureus isolated in Brazil. Lett Appl Microbiol, 29(3):197-201. Gao J, Ferreri M, Liu XQ, Chen LB, Su JL, Han B 2011. Development of multiplex polymerase chain reaction assay for rapid detection of Staphylococcus aureus and selected antibiotic resistance genes in bovine mastitic milk samples.J Vet Diagn Invest, 23(5): 894-901. Gardete S, Tomasz A 2014. Mechanisms of vancomycin resistance in Staphylococcus aureus. J Clin Invest, 124(7):2836-2840. Hauschild T, Sacha P, Wieczorek P, Zalewska M, Kaczyñska K, Tryniszewsk E 2008. Aminoglycosides resistance in clinical isolates of Staphylococcus aureus from a University Hospital in Bialystok, Poland. Folia Histochem Cytobiol, 46(2):225-228. Henze U, Sidow T, Wecke J, Labischinski H, Berger-Bachi B 1993. Influence of femB on methicillin resistance and peptidoglycan metabolism in Staphylococcus aureus. J Bacteriol. 175(6):1612-20. Jones CH, Truckman M, Howe AY, Mark O, Mullen S, Chan K, Bradford PA 2006. Diagnostic PCR analysis of the occurrence of methicillin and tetracycline resistance genes among Staphylococcus aureus strains from phase 3 clinical trials of tigecycline for complicated skin and skin structure infections. Antimicrob Agent Chemother, 50(2):505-510. Jones RN, Ross JE, Castanheira M, Mendes RE 2008. United States resistance surveillance results for linezolid (LEADER Program for 2007). Diagn Microbiol Infect Dis, 62(4):416-426. Kehrenberg C, Schwarz S 2006. Distribution of florfenicol resistance genes fexA and cfr among chloramphenicol-resistant Staphylococcus isolates. Antimicrob Agents Chemother, 50(4):1156-1163. Khoramrooz SS, Dolatabad SA, Dolatabad FM, Marashifard M, Mirzaii M, Dabiri H, Haddadi A, Rabani SM, Shirazi HRG, Darban-Sarokhalil D 2017. Detection of tetracycline resistance genes, aminoglycoside modifying enzymes, and coagulase gene typing of clinical isolates of Staphylococcus aureus in the Southwest of Iran. Iran J Basic Med Sci, 2(8):912-919. Kobayashi N, Wu H, Kojima K, Taniguchi K, Urasawa S, Uehara N, Omizu Y, Kishi Y, Yagihashi A, Kurokawa I1994. Detection of mecA, femA, and femB genes in clinical strains of staphylococci using polymerase chain reaction. Epidemiol Infect,113(2):259-266. Lim KT, Hanifah YA, Yusof MYM, Thong KL 2012. ermA, ermC, tetM and tetK are essential for erythromycin and tetracycline resistance among methicillin-resistant Staphylococcus aureus strains isolated from a tertiary hospital in Malaysia. Indian J Med Microbiol, 30(2):203-207. Locke JB, Zuill DE, Scharn CR, Deane J, Sahm DF, Denys GA, Goering RV, Shaw KJ 2014. Linezolid-resistant Staphylococcus aureus strain 1128105, the first known clinical isolate possessing the cfr multidrug resistance gene. Antimicrob Agents Chemother, 58(11):6592-8. Malachowa N, DeLeo FR 2010. Mobile genetic elements of Staphylococcus aureus. Cell Mol Life Sci, 67:3057-3071. Manikandan SG, Hemalatha M, Lakshinarasimhan C, Thajuddin N 2011. Isolation and amplification of fem – a gene from MRSA isolates. Int J Pharm Bio Sci, 2(3):28-35. Martineau F, Picard FJ, Lansac N, Ménard C, Roy PH, Ouellette Bergeron MG 2000. Correlation between the resistance genotype determined by multiplex PCR assays and the antibiotic susceptibility patterns of Staphylococcus aureus and Staphylococcus epidermidis. Antimicrob Agents Chemother, 44(2):231-238. Matsuo MK, Komatsuzawa H 2012. Factors affecting susceptibility of Staphylococcus aureus to antibacterial agents. J Oral Biosci, 54(8):86-91. Mehrotra M, Wang G, Johnson WM 2000. Multiplex PCR for detection of genes for Staphylococcus aureus enterotoxins, exfoliative toxins, toxic shock syndrome toxin 1, and methicillin resistance. J Clin Microbiol, 38(3):1032-1035. Michalova E, Novotna P, Schlegelova J 2004. Tetracyclines in veterinary medicine and bacterial resistance to them. Vet. Med.-Czech, 49(3):79-100. Nasution GS, Suryanto D, R Lia Kusumawati 2018. Detection of meca gene from methicillin resistant staphylococcus aureus isolates of north sumatera. IOP Conf. Series: Earth and Environmental Science 130: 012026. Ogbolu DO, Alli OAT, Bello LA, Ibrahim AO 2015. Emergence of vancomycin intermediate Staphylococcus aureus (VISA) in clinical isolates of methicillin-resistant S. aureus from South Western region of Nigeria. International Journal of Tropical Disease & Health, 10(4):1-5. Oliveira AD, d’Azevedo PA, de Sousa LB, Viana-Niero C, Francisco W, Lottenberg C, Martino MD, Höfling-Lima AL2007. Laboratory detection methods for methicillin resistance in coagulase negative Staphylococcus isolated from ophthalmic infections. Arq Bras Oftalmol, 70:667-675. Pe´richon B, Courvalin P 2009. VanA-type vancomycin-resistant Staphylococcus aureus. Antimicrob Agents Chemother, 53(11):4580-4587. Pfaller M, Jones RN, Doern GV, Kugler K, and The Sentry Participants Group 1998. Bacterial Pathogens Isolated from Patients with Bloodstream Infection: Frequencies of Occurrence and Antimicrobial Susceptibility Patterns from the SENTRY Antimicrobial Surveillance Program (United States and Canada, 1997). Antimicrob Agents Chemother. 42(7): 1762–1770. Pillai MM, Latha R, Sarkar G 2012. Detection of methicillin resistance in Staphylococcus aureus by polymerase chain reaction and conventional methods: a comparative study. J Lab Physicians.4(2):83-88. Pournajaf A, Ardebili A, Goudarzi L, Khodabandeh M, Narimani T, Abbaszadeh H 2014. PCR-based identification of methicillin-resistant Staphylococcus aureus strains and their antibiotic resistance profiles. Asian Pac J Trop Biomed, 4(1):293-297. Saadat S, Solhjoo K, Norooz-Nejad, MJ and Kazemi A 2014. VanA and VanB Positive Vancomycin-resistant Staphylococcus aureus Among Clinical Isolates in Shiraz, South of Iran. Oman Med J, 29(5)5:335-339. Salem-Bekhit MM 2014. Phenotypic and genotypic characterization of nosocomial isolates of Staphylococcus aureus with reference to methicillin resistance. Trop J Pharm Res, 13(8):1239-1246. Schmitz FJ, Krey A, Sadurski R, Verhoef J, Milatovic D, Fluit AC 2001. Resistance to tetracycline and distribution of tetracycline resistance genes in European Staphylococcus aureus isolates. J Antimicrob Chemother, 47(2):239-240. Sierra JM, Camoez M, Tubau F, Gasch O, Pujol M, Martin R, Dominguez MA 2013. Low prevalence of Cfr-mediated linezolid resistance among methicillin-resistant Staphylococcus aureus in a Spanish hospital: case report on linezolid resistance acquired during linezolid therapy. PLoS One, 8(3):e59215. Strommenger B, Kettlitz C, Werner G, Witte W 2003. Multiplex PCR assay for simultaneous detection of nine clinically relevant antibiotic resistance genes in Staphylococcus aureus. J Clin Microbiol, 41(9):4089-4094. Thati V, Shivannavar CT, Gaddad SM 2011. Vancomycin resistance among methicillin resistant Staphylococcus aureus isolates from intensive care units of tertiary care hospitals in Hyderabad. Indian J Med Res, 134(5);704-708. Trzcinski K, Cooper BS, Hryniewicz WandDowson CG 2000. Expression of resistance to tetracyclines in strains of methicillin-resistant Staphylococcus aureus. J. Antimicrob Chemother, 45: 763-770. Ullah F, Malik SA, Ahmed J,Ullah F, Shah SM, Ayaz M, Hussain S, Khatoon L 2012. Investigation of the genetic basis of tetracycline resistance in Staphylococcus aureus from Pakistan. Trop J Pharm Res, 11(6):925-931. Vanhoof R, Godard C, Content J, Nyssen HJ, Hannecart-Pokorni E, 1994. Detection by polymerase chain reaction of genes encoding aminoglycoside-modifying enzymes in methicillin-resistant Staphylococcus aureus isolates of epidemic phage types, J. Med. Microbiol, 41:282-290. XuanThiep DT, Kim Ngan HT, TraAn VT 2014. Antimicrobial resistance of Staphylococcus aureus isolated from pork in Ho Chi Minh City. 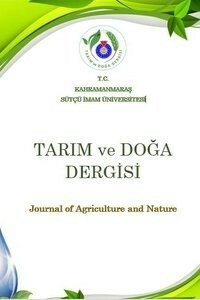 Agricultural Science Research Journal, 5(4):62-67. Zmantar T, Bekir K, Elgarsad SI, Hadad O, Bakhrouf A 2013. Molecular investigation of antibiotic resistance genes in methicillin resistant Staphylococcus aureus isolated from nasal cavity in pediatric service. Afr J Microbiol Res, 7(34):4414-4421.